Well, hello. It’s high summer and the roadside verge is brimming with wild flowers. The country air is full of the pleasant, sweet smell of alfalfa and red clover newly cut. The air is warmer now, good spirits abound, holidays are around the corner (for some), and we cycle with happy legs, light-heartedly towards that turn in the road when the wind will sail us home. The rhythm of pedalling has its own hypnotic beauty. Yes, you just should have been there. Meet at Stinsons at 8 am 8 am and ride to Renfrew via White Lake Rd to Conc 9 to Waba Rd to Campbell Side Rd to White Lake Village and Burnstown (the back way) then over the hills for coffee at Tim’s in Renfrew; home via Bruce St and Castleford, etc. for a total distance of 75 Kms+/-. This is an easier route (shorter and less hilly) than to-days. Still, there is enough climbing and rollers to make it interesting. It will be warm and breezy. Some of the lads are out-of-town. May have a short bench tomorrow. Hope to see you. Just a reminder, it’s steady as she goes. These are ‘no-drop’ group rides. Solo interval riding is for the week days. Weather 20 C+, with winds NW at 15. 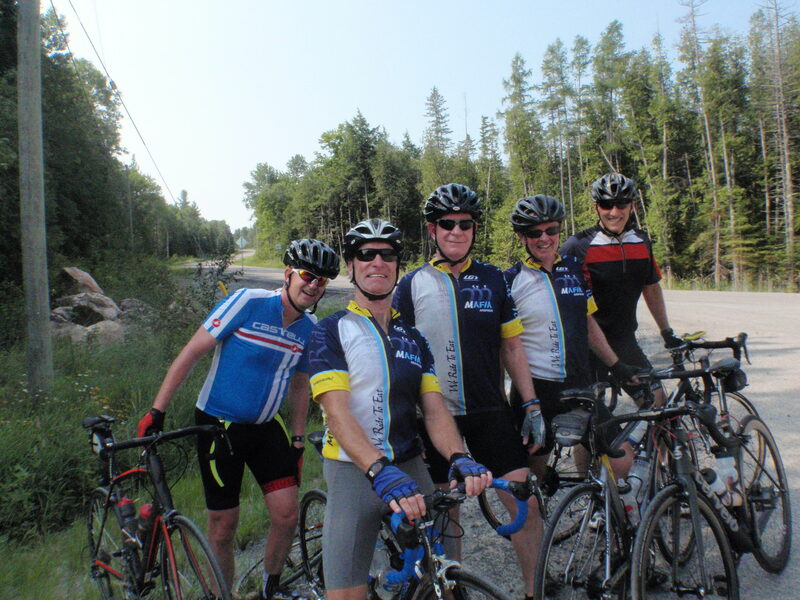 Bonnechere August 16: – details here: http://tourdebonnechere.blogspot.ca/. The last day of registration is August 14.